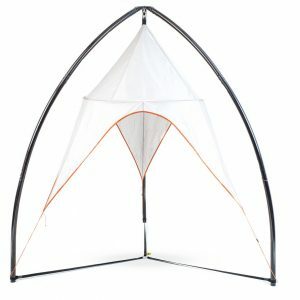 Hang your TreePod Tree Tent anywhere with the TreePod Tripod Stand; indoors, on a deck or patio, or in a yard without large trees. This easy assembly steel stand measures 2.35m or 2.6m high and 2.5m in diameter, weighing 29.5kgs, and supports up to 226kgs. TREE ALTERNATIVE – With its simple, aesthetically-pleasing design and sturdy construction, this stand also provides a great alternative to a tree for hanging your TreePod. 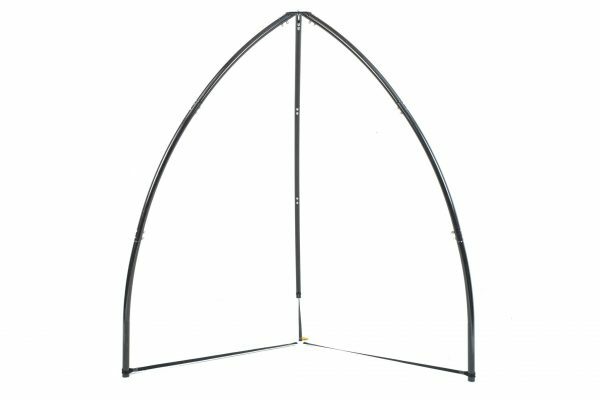 STURDY DESIGN – Constructed with durable steel and built to last, the TreePod Tripod Stand is a great stand for the life of your TreePod Hybrid Hammock Tent. 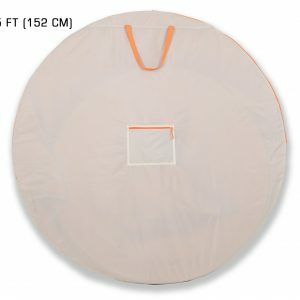 HANG YOUR TREEPOD HAMMOCK TENT HYBRID ANYWHERE – You no longer have to limit your TreePod Tree Tent use to locations with mature tree. Use on your deck, backyard, as well as on your lawn. GREAT FOR ALL AGES – With use of the stand, create a portable kids playhouse or adult getaway on any even surface. HARDWARE INCLUDED – No need to buy extra materials or tools; this stand has everything you need and comes with a detailed instruction manual. The Tripod Stand has an extension piece included which give users the ability to vary the height. You are able to choose either a height of 2.35cm or 2.6cm. These TreePod Tripod Stands are perfect for the Cabana or Lounger tree tent range. 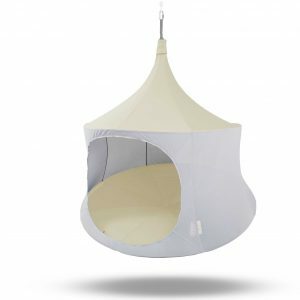 For an independent review of the newest addition to the TreePod range please click here. Shipping for the TreePod Tripod Stand may occur through a Freight provider. Therefore please contact us to provide you with a freight quote. PLEASE NOTE due to the weight of the stand it may have to be collected from the local depot. 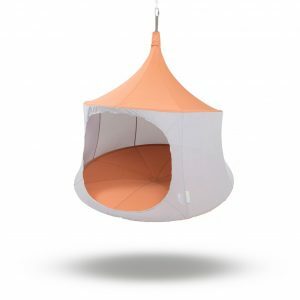 TREEPOD CABANA OR LOUNGER NOT INCLUDED – this is for the tripod stand ONLY. THE TREEPOD STANDS ARE ONLY AVAILABLE WITH A TREEPOD PURCHASE UNTIL FURTHER NOTICE. 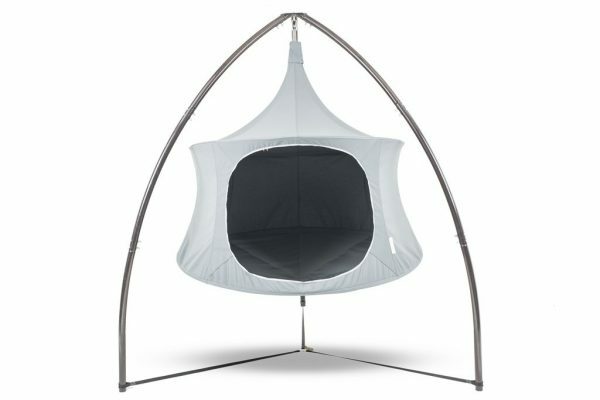 Should you wish to purchase a Stand without purchasing a Treepod Cabana or Lounger please contact us. We reserve the right to cancel/refund any orders for a Stand that do not meet these requirements. Please click here to download the Treepod Tripod Stand setup instructions. A great design that gives a bit more flexibility about where you can use the tree pod. It is sturdy and simple to put together. 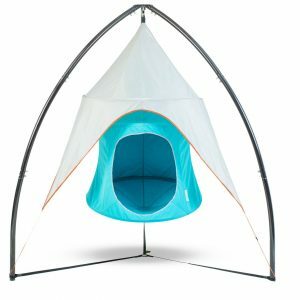 I purchased the cabana and tree pod stand and have had many enjoyable days relaxing and reading inside my pod. I am very happy with my purchase. 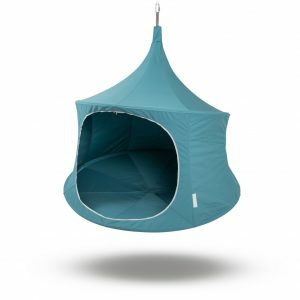 The cabana and stand were easy to put together, you could sleep in it overnight – although you may need the mosquito attachment. 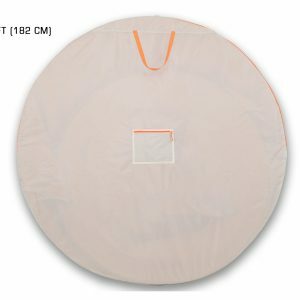 Lifestyle gear were easy to deal with, very friendly and delivery was very quick.